Rhubarb is coming to the end of it's season now. 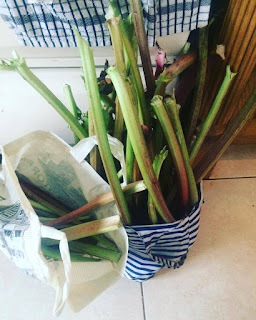 I never really gave Rhubarb a chance! I didn't eat it growing up and then never bought it or had it in recent years to try experimenting with it. 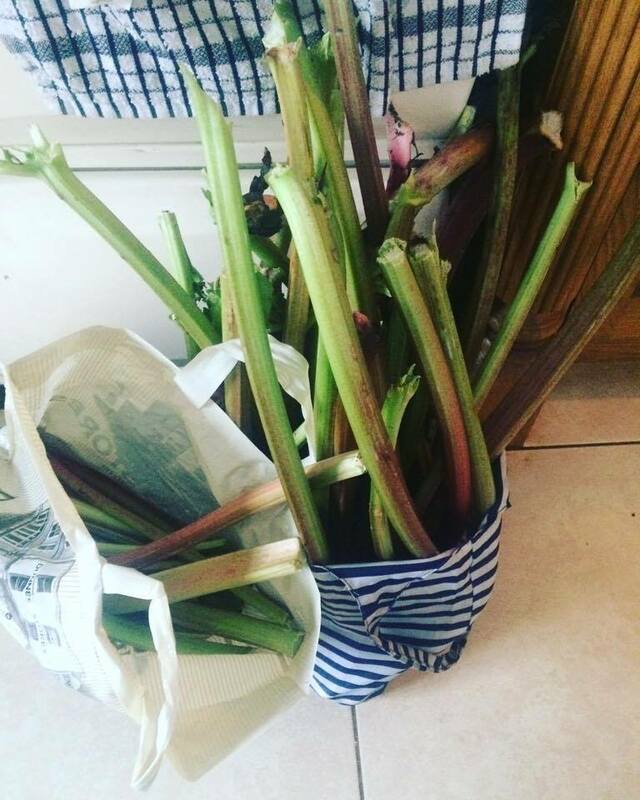 Most recently however neighbours and family have given me some from their gardens and i have had more time to try it out and have grown to enjoy it! Now, Stewing it is my favourite way to enjoy it. I have made pies too but have not quite mastered that! 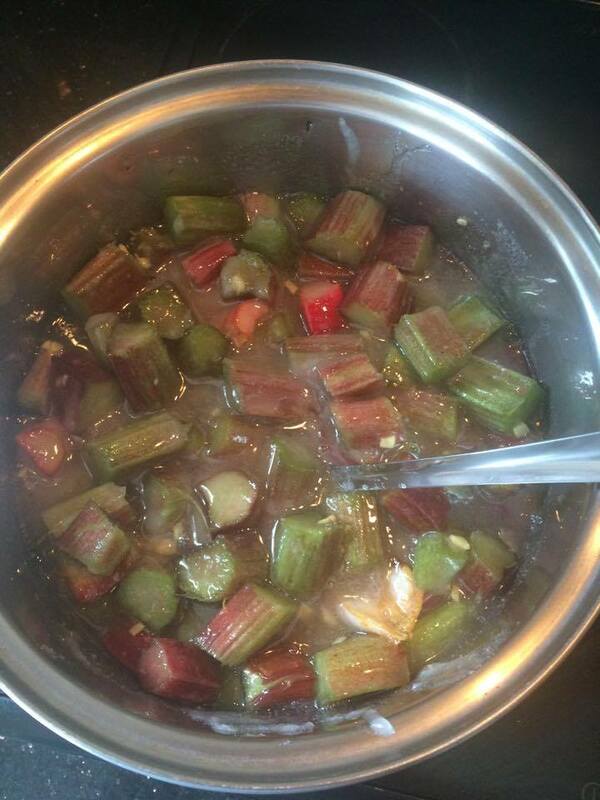 Stewed rhubarb is great for a simple dessert. Or made that bit healthier and added to natural yogurt. Today, I've made jam. And it is perfectly ok to use it on breads; on toasts; a yogurt mix; dessert with custard and much more. I have heard so much about the effort that goes into making jam and what to do and what not to do that it would put anyone off making it! But really - it's simple! No need to stress! It's simply the fruit and sugar that need each other to work. I have stewed fruit in water before just to have a healthy mix for yogurts. But for jam, it takes the sugar to set it into jam. 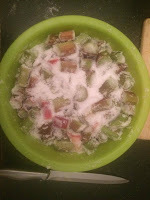 Chop Rhubarb, wash, dry and add to a basin. Add equal amounts of white sugar to rhubarb with lemon juice & zest and grated ginger. mix everything and steep overnight. (or until thickens) stirring occasionally. Also, you're looking for a redder colour than green. Off the heat, mix in a small knob of butter. This will get rid of that scum that forms. Leave sit for about 5 minutes before transferring jam to *warm **sterilised jars through a funnel to save mess! Let them go completely cold before adding a circle of greaseproof paper on top, followed by its lid, securely. 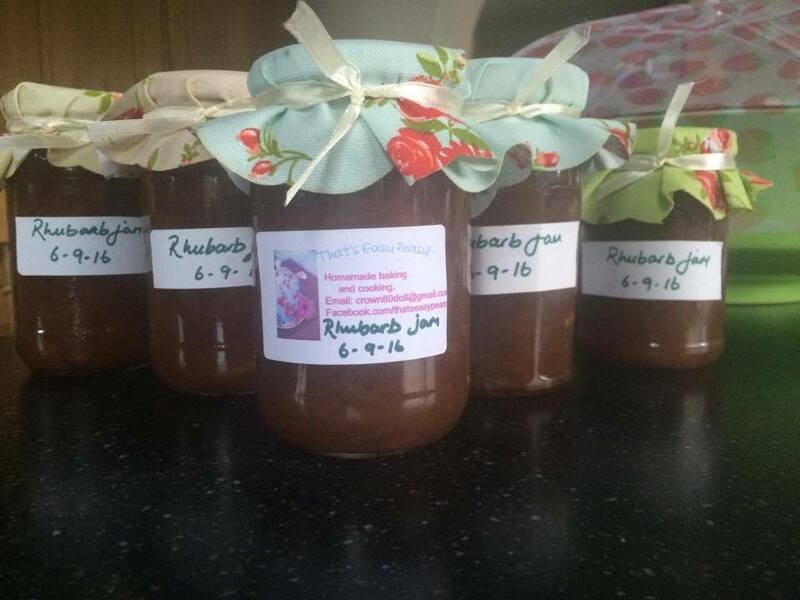 I like to dress the jars then with a cover & ribbon and popping a sticker on with the date and jam name. *Warm the jam jars before adding the jam to them by placing them on a baking tray and heating them in an oven. 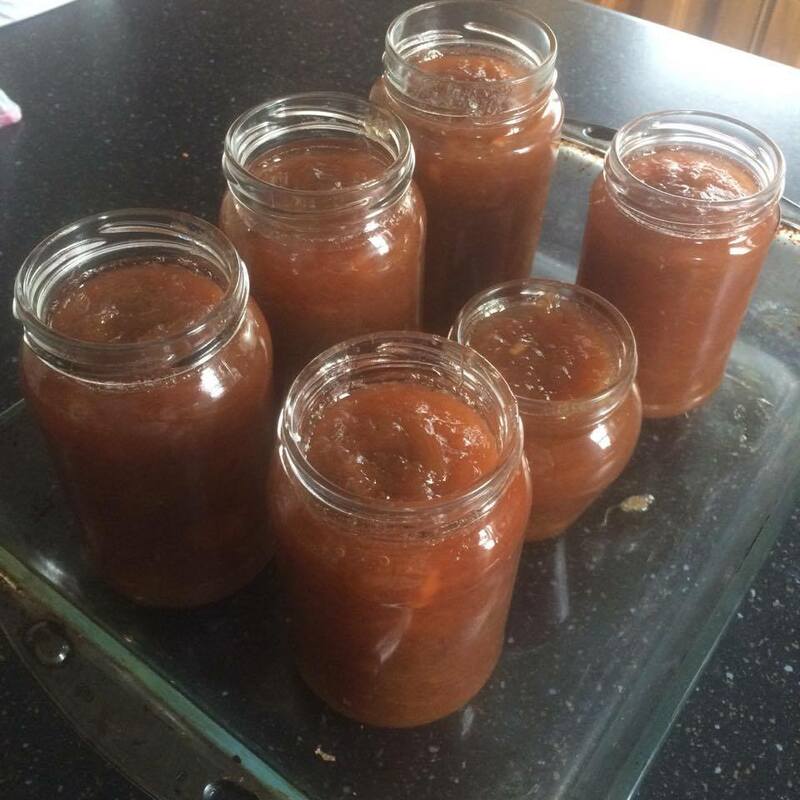 **Sterilising jars is as simple as deep washing them in a dishwasher! You may also do them the old route by washing them in hot soapy water, rinsing well and drying them on a baking sheet in the oven at 140degrees C.
You can then store the jars and lids in bags, tied or a covered box, labelling it as accordingly for easy reach the next time you make jam! So that's it! That was simple, right? Nothing to be scared of! !